A woman will frequently see a physician about lack of menstruation, infertility, acne, hirsutism, weight problems or some other symptom of polycystic ovary disease. 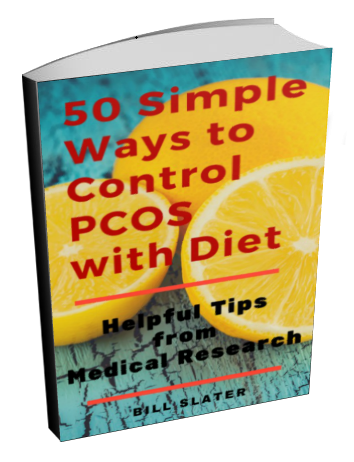 But many physicians are not very familiar with polycystic ovarian syndrome, so they only treat the symptoms you complain about without digging any deeper. The most common treatment is the prescription of birth control pills, followed by metformin. However, discerning physicians will notice the above constellation of symptoms and realize there is complex metabolic disorder. Depending on the doctor, the treatment may include hormonal therapy consisting of birth control pills, anti-androgen medications, and other special hormone-regulating drugs. Because polycystic ovarian syndrome has an insulin resistance component (too much insulin required to store blood sugar), a drug called metformin (Glucophage) is becoming a routine treatment. Approved as an anti-diabetic drug, metformin acts by making insulin more efficient, thus allowing less insulin to perform the same amount of metabolic work. And, some doctors will tell the patient to lose weight. Ovarian drilling has been helpful for some women. It is a process where between 4 and 30 tiny holes are made in a cystic ovary. Newer surgical techniques minimize previous problems of scaring and adhesions, but they remain a risk. Rarely, if the ovarian cysts are large and causing problems, a physician may suggest surgical removal. 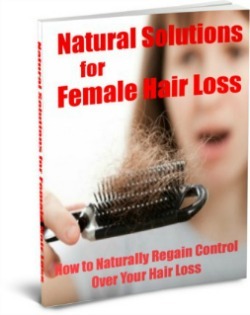 Conventional treatment is generally aimed at controlling symptoms and shifting levels of the various hormones that are involved in the disease. In some cases, the medical therapy must be continued indefinitely. A problem with conventional treatment is that the medications used for ovarian cysts and polycystic ovary syndrome have undesirable side effects, uncertain long-term health effects, and can be expensive. Polycystic ovarian disease is a very complex metabolic disorder with a genetic component that makes it a challenge to effectively treat. Each woman is unique. Pay close attention to your personal health circumstances. Identify your primary concerns, e.g., fertility, hirsutism, diabetes risk. 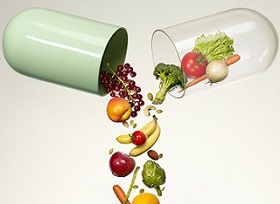 Tailor your treatment plan to create the best results. Adapt to your changing needs. Stay alert for new developments in the field, in order to improve your treatment program. Ideally, your doctor believes in treating "the whole person" rather than "the disease". This means treatment options that will improve your fundamental health. As your fundamental health improves, you may find that your polycystic ovary syndrome symptoms and problems will diminish. 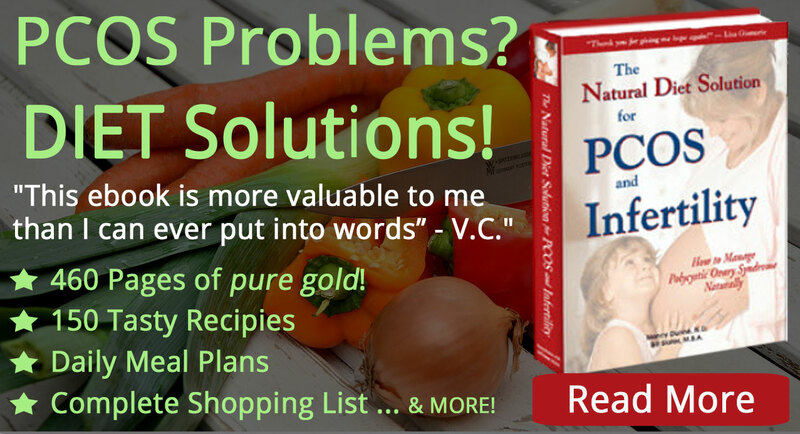 Also look for someone who uses natural therapies to complement standard conventional therapy. For example, natural therapy could be in the form of a physical therapy, or a food or herb that can be helpful for the condition, but without undesirable side effects. Don't accept the theory that you are a complete captive of your genes. You may have been told that your genetic inheritance is the reason you have polycystic ovarian syndrome and that there's nothing you can do about it. That's not quite true. It's very clear from the medical research that the environment has a significant influence on how genes behave. 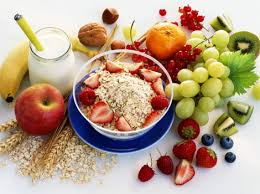 In other words, your diet, lifestyle and physical environment can influence the expression of your genes. So you'll want to find a treatment program helps to optimize your genetic expression. Cardiovascular disease is well recognized as part of insulin resistance syndrome, leading to endothelial dysfunction, microalbuminuria, proatherosclerotic and inflammatory factors, diabetes, dyslipidemia, and a number of other abnormalities. Insulin resistance normally forces beta-cells in the pancreas to overwork to produce enough insulin, thus eventually leading to beta-cell exhaustion and diabetes. Evidence of inadequate beta-cell compensation is seen frequently in women with PCOS, leading to increased risk of diabetes. 40% of women with polycystic ovary disease have abnormal glucose tolerance, 10% already have type 2 diabetes, and the incidence of diabetes in adolescents with PCOS is comparable to that seen in adults. Women with PCOS have glucose intolerance rates as high as those in the highest risk ethnic groups in the world, such as the Pima Indians. Even correcting for obesity, polycystic ovary syndrome is associated with elevated LDL "bad" cholesterol, while there is a synergistic effect of PCOS and obesity in causing chronic elevated triglycerides. High blood pressure is commonly seen in women with both obesity and polycystic ovarian syndrome. PCOS is associated with decreased fibrinolysis, increased C-reactive protein levels, and increased carotid intimal thickness, all of which indicate cardiovascular disorders. 77% of women with abnormally infrequent or scanty menstrual flow have evidence of polycystic ovarian syndrome and 33% have abnormal glucose tolerance. Using menstrual cycle length of 40 days or more as an indicator, the Nurses' Health Study showed a 2.2-fold increase in the risk of type 2 diabetes development. The study also showed that irregular menses was associated with a 53% increase in cardiovascular disease events. 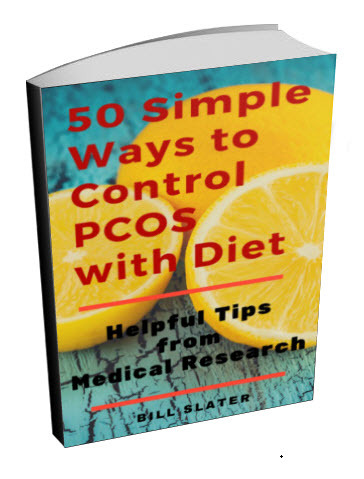 Women with PCOS have reproductive abnormalities, including increased gestational diabetes in both obese and non-obese women, pregnancy-induced hypertension, and preeclampsia. Preeclampsia is a toxic condition developing in late pregnancy that is characterized by a sudden rise in blood pressure, excessive gain in weight, generalized edema, albuminuria, severe headache, and visual disturbances. PCOS women also have an increased endometrial cancer risk. The risk of ovarian cancer is increased 2.5-fold, particularly among women who had never used oral contraceptives. Breast cancer risk is not clearly increased with polycystic ovarian disease. 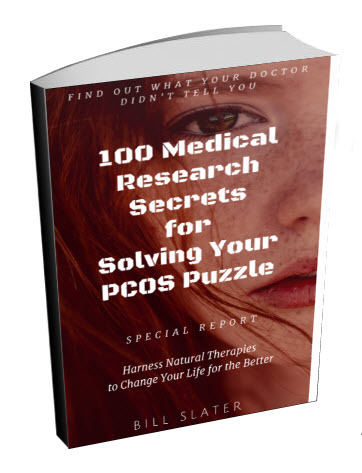 Women with seizure disorders have increased risk of PCOS. 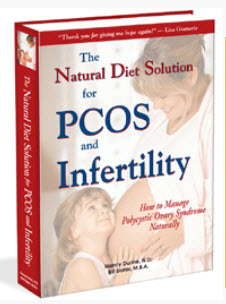 As you can see, PCOS is not something you want to ignore!